Arizona Game and Fish to set up a Fishing event. They will educate kids and include all bait, tackle, poles, etc. No fishing license needed. Wednesday August 13. There will be 1-1.5 hour of class time than 2-2.5 hour fishing g time. AZGFD will bring all bait,tackle and poles. Kids under 3rd grade should bring their own poles as there is only a few available. AZ game and fish will supply all bait. Also bringing crayfish traps and BBQing crayfish. Park is free that day, event held at Goldwater Lake. 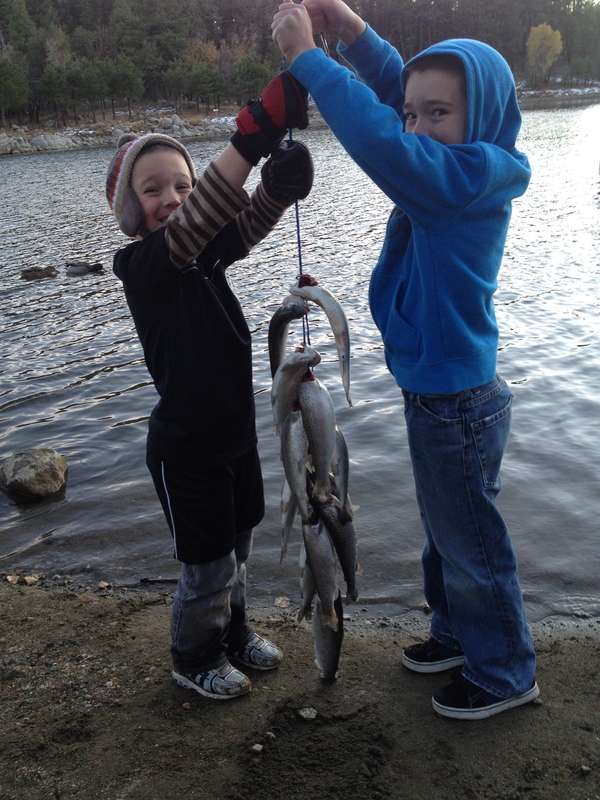 My boys showing off their day’s catch at Goldwater.